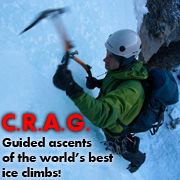 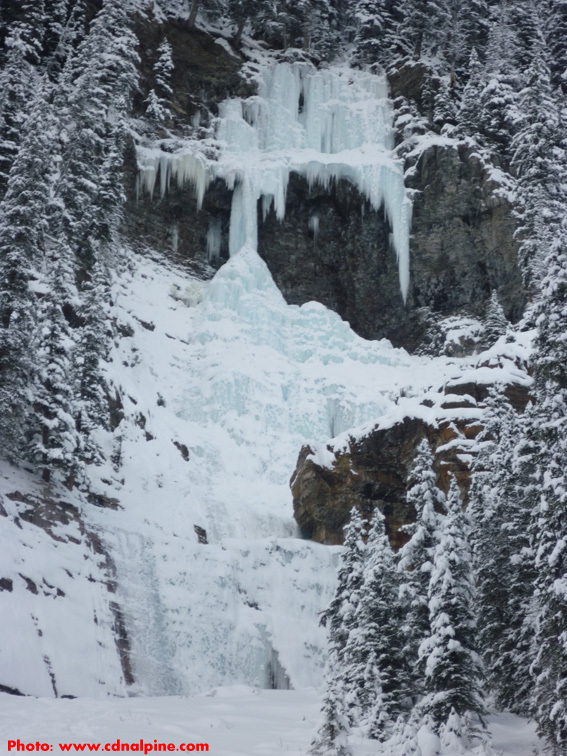 Includes the ice climbs from Calgary to Lake Louise along the Trans-Canada Highway including climbs near Canmore & Banff, & Lake Louise, Alberta. 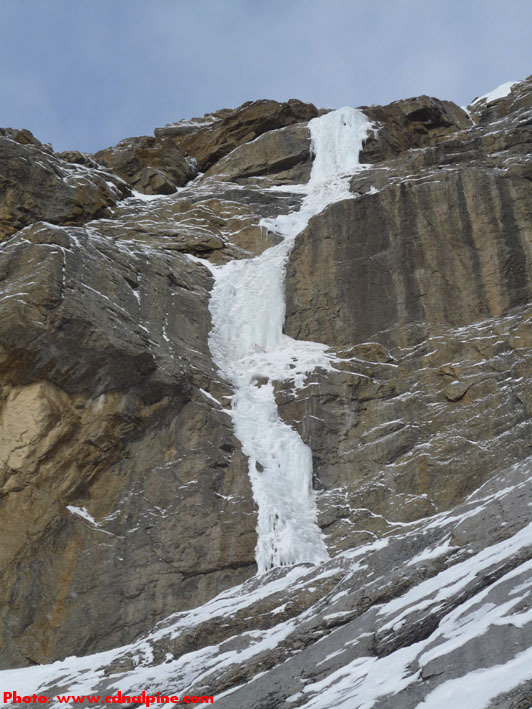 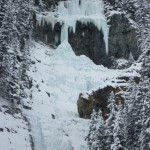 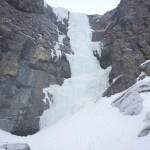 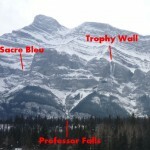 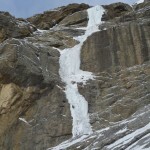 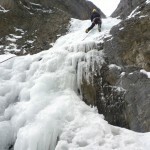 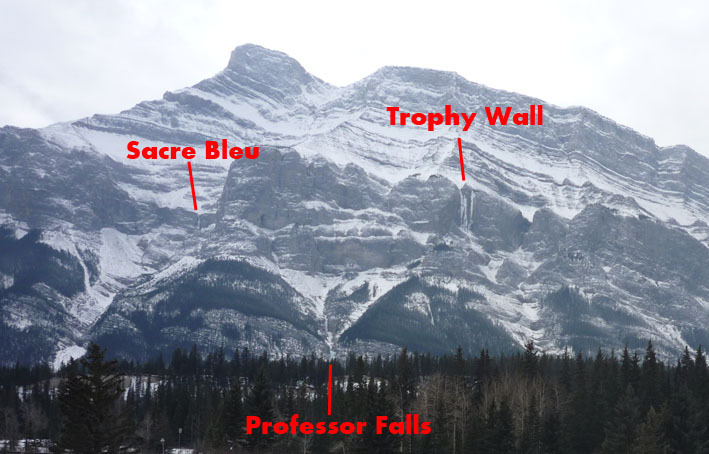 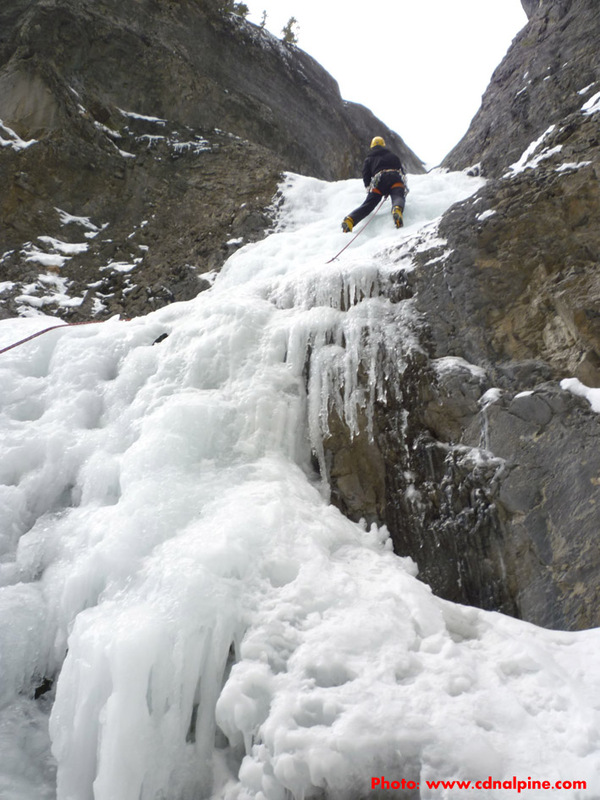 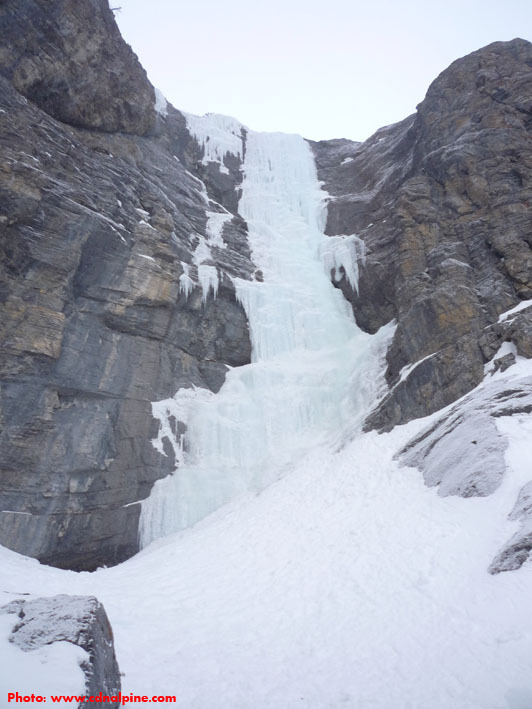 The Bow Valley is likely the most visited ice climbing area in Canada and is home to many classic routes. 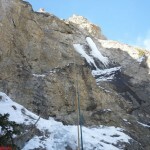 The downside is that it can often be quite busy, and on weekends it may be difficult to get on the more popular routes. 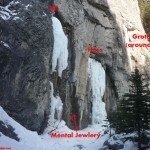 Grotto Canyon – Grotto Falls(WI2, 50m), His(WI4, 15m), Hers(WI4, 15m), Mental Jewelry (M6+, 15m) and more mixed routes. 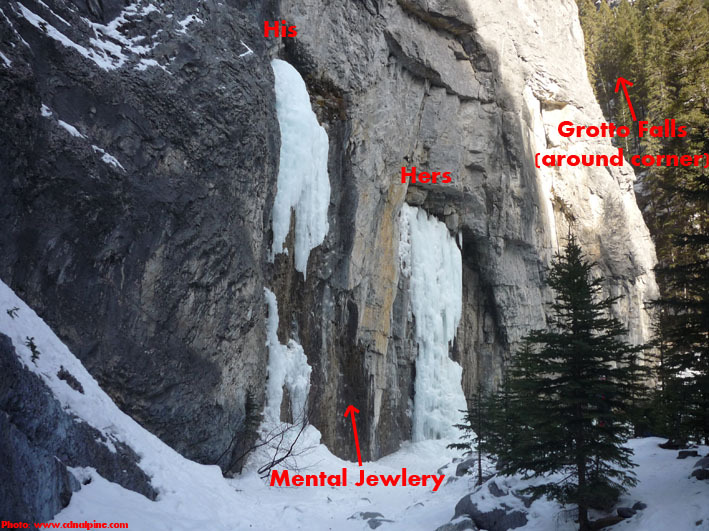 Grotto Falls (WI2) in Grotto Canyon. 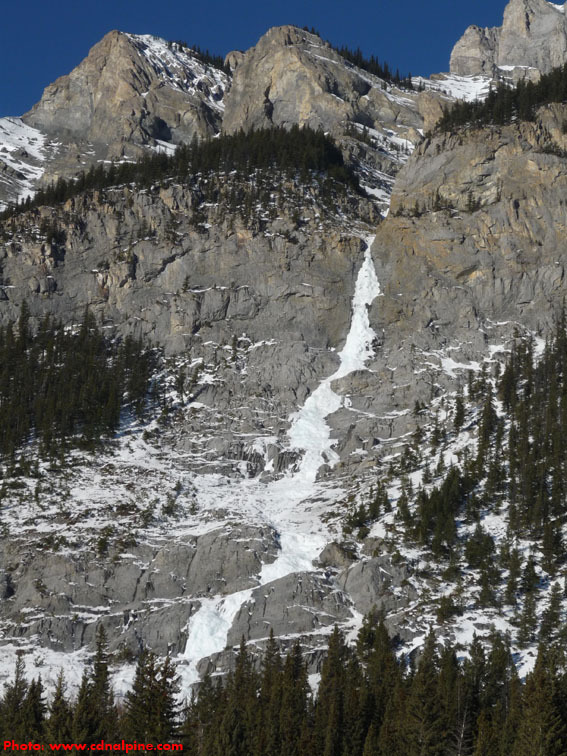 The Gunfighter (WI3R, 5.10+) near Banff. 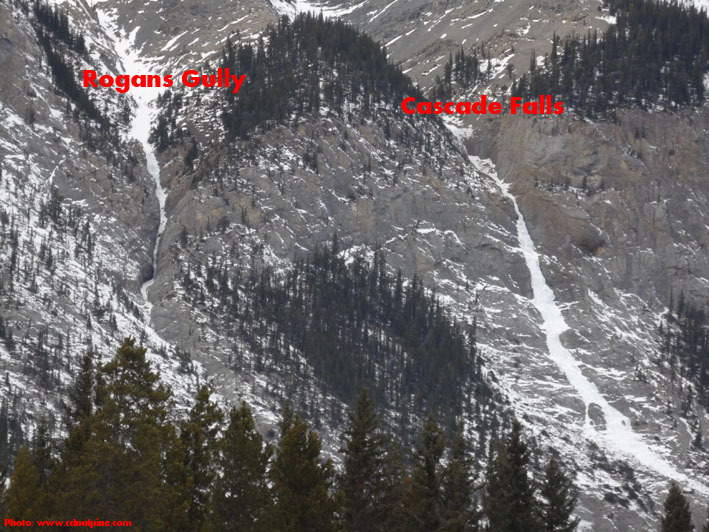 Bourgeau Right (WI4) above Sunshine Village lot. 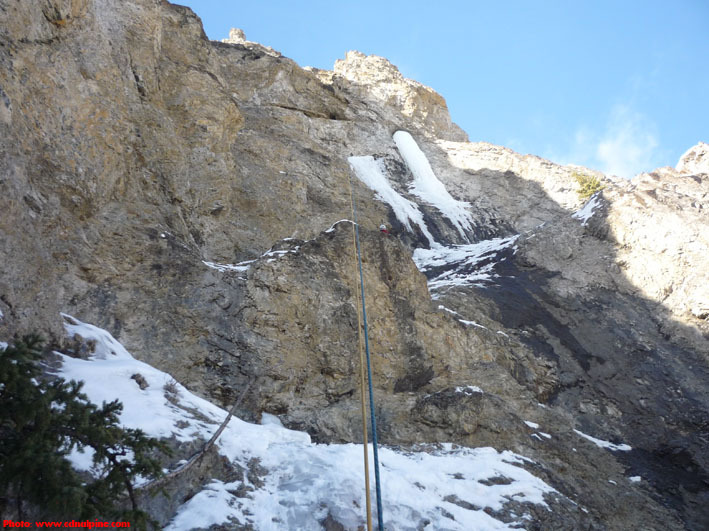 Bourgeau Left (WI5) upper pitches. 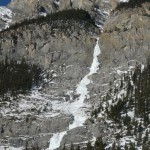 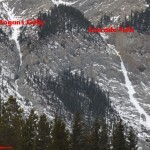 Louise Falls (WI4+) above Lake Louise.